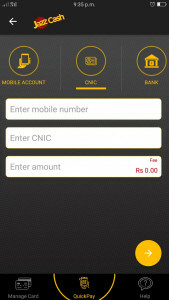 JazzCash Mobile Account is a real bank account service provided by JazzCash, which is a branchless mobile banking service, under a telecommunication and mobile operating cooperation named Mobilink and partnered with Mobilink Microfinance Bank (previously known as Waseela Microfinance Bank). Powered by 75,000 nationwide retail networks, JazzCash -previously named as MobiCash- is the fastest growing banking service in Pakistan. With its various services of financial transactions across Pakistan, online payments, NFC enabled payments, mass payment collections, bill payments, insurance policies, and mobile account, JazzCash has now become the foremost runner in the race of mobile services and their banking solutions. It is a genuine and real bank account that is made using your mobile number. It can be accessed and managed through mobile phones only. The idea was to provide users with a convenient way of banking that can be approached anywhere and anytime by almost everyone. All you need is a cell phone -be it android, iphone or a simple one- and you can oversee all of your finances right at your home screen. Money can be deposited and retreated through any of the JazzCash agents, Jazz experience centres, Jazz points and franchises, and Mobilink microfinance bank branches across Pakistan. 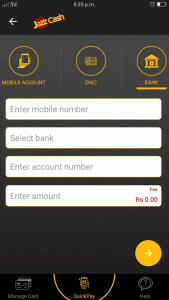 JazzCash account can be registered on absolutely any mobile network number for free of cost. For biometric-verified Warid and Jazz number holders, the registration can be done by simply dialing *786#. However, for other network holders a visit to nearest Jazz agent and franchise would be in line for biometric verification. After getting yourself registered, the next step is to create an 4 digit MPIN, through which all of your transactions would be protected. Again, for Jazz and Warid number holders MPIN can be created by either dialing *786# or via Mobile App. Other network number holders can easily make through Mobile App. In case you forget your MPIN, it can be reset by calling Jazz and Warid helpline number or visiting their franchise. 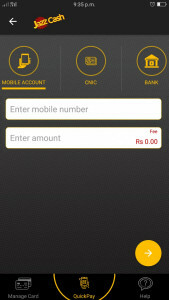 Now JazzCash mobile account can be successfully used by any mobile phone. JazzCash provides a wide range of services revolving around money transfer and other finances. This app is necessary to have access to JazzCash services for mobile network holders other than Jazz and Warid. Moreover, this app provides a series of services that can be acquired while lazing around in your living room. Also, a list of contacts and accounts on which transactions are made previously, is kept for future convenience. Money can be deposited through either JazzCash agents or Bank Account i.e. via ATM of the Bank branch in which your account is registered, that too without any extra charges. In ATM machine, by selecting Mobilink Microfinance Bank as receiver and entering your phone number as account number, any amount over Rs. 75,000 can be easily transferred to your mobile account. Through JazzCash mobile account, money can be transferred to any other JazzCash mobile account, bank account, and valid CNIC number by simply dialing *786# or through mobile app. Another convenient way to transfer money is to take your CNIC and receiver’s information to any Jazzcash agent and they’ll see through your transactions with a confirmatory receipt. This allows the payment of Jazz postpaid and any utility bill through your own mobile phone (I hope you know the 5 characters code by heart now!) or simply visiting nearest JazzCash agents. With absolutely no additional fee, a personalized visa card card can be available for making transactions and payments at almost 50,000 retail business and local ecommerce stores. SMS alerts are also immediately sent for every transaction. Using this service mobile credit for any mobile network, can be bought easily for not only yourself, but can be gifted to your friends and family too. ReadyCash is a loan service that can provide JazzCash mobile account customers instant short-term loan in mere seconds. The loan amounting to Rs. 1000 can be used for only 4 weeks by a single customers. Vending machines located in various malls, colleges and universities can be accessed by entering your mobile number or tapping NFC tag. JazzCash is now the most used mobile banking service in Pakistan. It’s easy registration procedure, free of cost services and customer friendly approach has garnered a huge attention. 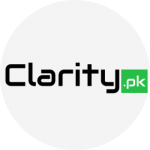 With the most convenient and hassle-free money transactions methods, it can be used by almost anyone for money transfer across any remote area in Pakistan. 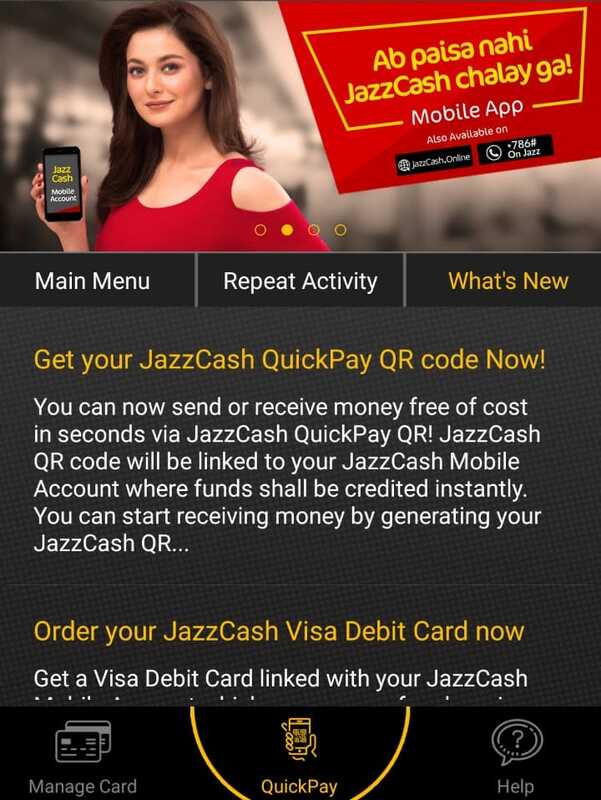 Let us know about any query and/or previous experience of JazzCash Mobile Account.